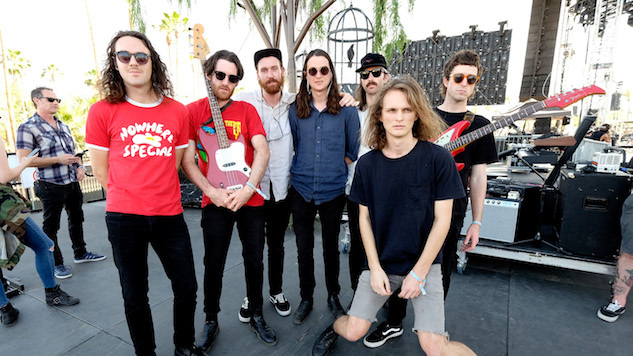 King Gizzard had a fairly quiet 2018 besides a few vinyl reissues and another successful year of their Melbourne music festival, Gizzfest. However, any time off they had was well-deserved after they put out a whopping five studio albums in 2017 and toured them almost constantly. Their most recent release Gumboot Soup was preceded by Polygondwanaland, and before that they released a jazz-inflected collaborative album with Mild High Club titled Sketches of Brunswick East. Below, check out the video for “Rattlesnake” off their first album of 2017, Flying Microtonal Banana, along with a 2015 King Gizzard performance from the Paste archives.